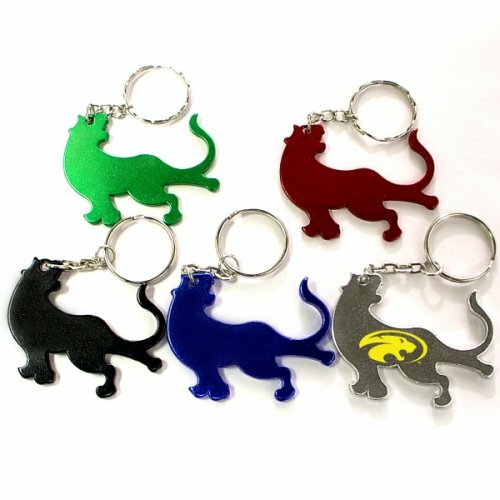 Customized tiger shape bottle opener keychain ranks high in terms of aesthetic value and functionality. It helps you to seize the major chunk of the competitive landscape with its high affordability, acceptance and adorability. Generally used as a bottle opener and keychain, it can be considered for gifting throughout the year. It can be offered as a individual gift or as a combo gift or as a complimentary gift or in whatever other way you can think about. 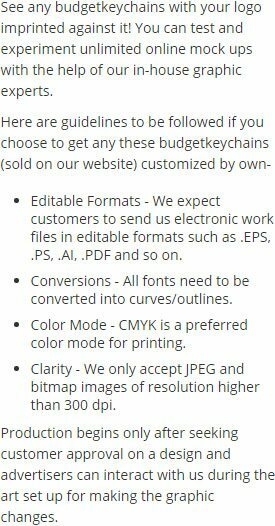 In all these situations, it is going to give you easy footage with the customers and they are going to preserve it for a lifetime. Request for a quote to know discounts that you can avail on bulk orders of this tiger shape bottle opener keychain. Features – Tiger shape bottle opener with key ring in metallic finish. Available color - Metallic Green, Metallic Blue, Metallic Black, Metallic Purple, Metallic Gold, Metallic Red and Metallic Silver. Imprint area – 1 1/8" x 7/16"
Imprint Area :1 1/8" x 7/16"
Product Size :2" x 1 3/4"